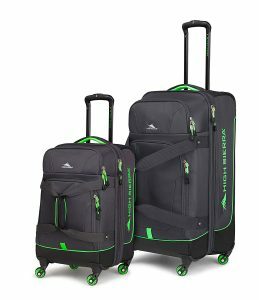 Mercury, black and lime High Sierra Alameda is a soft shell duffel spinner luggage set of two pieces with a modern multi-compartment design. As a good quality and durable set with a premium look and feel with the nice details, it is rated 4.5 out of 5 stars by 18 customers. So you have a small 20″ cabin bag that weighs 7.25 pounds and measures 19.8 x 14 x 9 inches (23.9″ x 14″ x 9″ with the wheels and handles) and a medium 27″ size checked roller that weighs 9.2 pounds, with the measurements of 26.2 x 15.5 x 12.5 inches. You have the extra storage on both with the zippered expansion gusset. There is a big accessory pocket at the front as well as a convenient ID card holder. You’ll find a zipped mesh divider between the rear and front drop-bottom sections. The recessed trolley handle with an ergonomic design is comfy to hold while you’re pushing the bags in front of you or pulling them behind you on their spherical spinner wheels that roll smoothly. Apart from the ergonomic metal telescoping handles they come with the grab handles at the top and with the duffel straps at the front. There is a zipped compartment on one side and the hold down straps on the other side. The zippers on the High Sierra Alameda appear to be good quality, solid and lockable. These two suitcases do not attach to each other, but they will if you use a strap. Thanks to the bags’ unique design and colors they are easy to find in a crowd of bags on the carousel. They are spacious inside and you can fit in quite a lot of your clothes and more. The wheels roll easily and effortlessly on the pavements, terminal or parking grounds or on thick carpets. The locks on these duffel suitcases are TSA approved and fit through the zippers nicely. The bags have a soft shell exterior but with a sturdy fabric and handles and they can be used easily by people that travel frequently. The mesh divide will help separate your stuff, like dirty clothes. A couple of people expressed concerns over the size and the durability of the wheels, even though they haven’t experienced anything bad yet. Despite the duffel straps at the front it may be a little hard to use them as backpack as they will get rather heavy. You can put your undies, socks and other smaller items in pockets inside. Both bags have exactly the same configuration, with the same unique design exterior and interior pockets. Some interior zippers lead to the skeleton of the bags and we’re not sure what the purpose is. 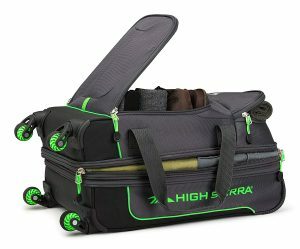 We’re not quite sure about the big High Sierra logo on the side of the bags, as they make them look a little cheap. 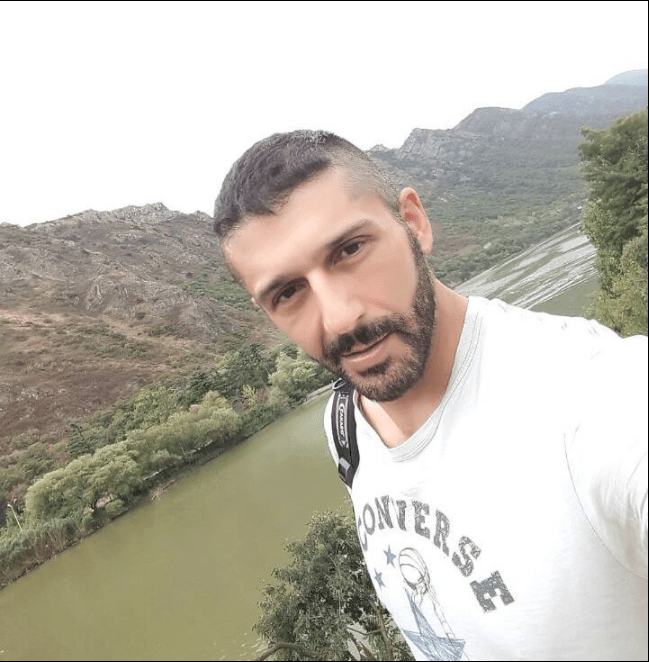 High Sierra is a very famous brand for backpacks that are known for their adventure lifestyle gear that are affordable, versatile, durable and full of user-friendly features especially for adventurers around the world. And this suitcase set offers very decent value for money, just like their backpacks and duffel bags we’re familiar with.